The 2018 vintage gets underway in Bourgogne! Is it too soon to talk of an early vintage in Bourgogne? Although the 2018 vintage got off to a good start across the region, mid-May is still too early to be able to confirm whether will be an early one. At this stage, the evolution of the vines is closely linked to the temperature. The hotter it is, the faster the vines grow. And similarly, as soon as the mercury dips, the vegetation slows down. The next few weeks will decide the matter one way or another. The growth cycle got off to a slightly slow start, but summery temperatures that held up until 24 April meant the vines grew quickly, making up for a lag observed during the mid-budburst stage, by which time half the vines’ buds have lost their scaly cases. This means that 2018 is on a par with 2015, a vintage when everything was ahead of schedule, with flowering in mid-June, and harvesting at the end of August. A slight cooling of the temperature in the final days of April and a return to more seasonal temperatures during the first two weeks of May slightly slowed things down, bringing the pace back to a more normal level. Bourgogne winegrowers are happy so far: The vines were spared the frost this year, and the nascent flowers seem generous. In the vines, teams are busy tying up the vines and debudding, but there’s still a long way to go until the harvest. How well do you really know the Chablis appellation? The wines of Chablis are all white, made exclusively from the Chardonnay grape, and are usually fresh and lively on the nose, with plenty of minerality on tasting. It is not rare to detect aromas of flint, green apple, lemon, undergrowth, mint, or even acacia. With age, these wines become more golden and spiced. On the palate, the aromas retain their vigor for a long time. Very dry and perfectly sophisticated, Chablis has a unique and instantly recognizable character. In its youth, aged 2-3 years, Chablis is a perfect partner for fish or chicken terrines, grilled fish or asparagus, that can be tricky to pair. It makes for a spectacular aperitif, and a Chablis that has been aged for a few years would be a perfect pairing with goat cheese, Beaufort, Comté, and Emmental. Click here to find out more about the Chablis appellation. In 2017, the USA was once again the leading importer of Bourgogne wines in terms of both revenue and volume. The USA has held the leading spot for imports in terms of revenue and volume since 2015, and once again in 2017, it scooped the top spot, accounting for 23% of all exports of Bourgogne wines in terms of revenue and 20% of total exports by volume. This strong performance was driven by a favorable exchange rate with the dollar. But this growth becomes more significant if Chablis wines are removed: Up 2.3% by volume and 10.7% in terms of revenue. Exports: 16.7 million bottles (up 0.9% over 2016) for 207.5 million euros (up 10% over 2016). In the first two months of 2018, the initial trend in volume sales for still Bourgogne wines was positive, up 16% (source: DAE). The cut in duty on alcoholic drinks, adopted by Congress at the end of December 2017, could help maintain this trend. Click here to download the complete market report. Between 14-20 May, the BIVB welcomed 10 new candidates for a fresh round of accreditation to earn the title of Official Bourgogne Wines Ambassadors. With a network of 60 official trainers in France and in 17 other countries around the world, the BIVB was keen to expand its team. And to do this, 10 training experts – including several Masters of Wine – were selected from around 100 applications around the world. Six came from the USA, one from Canada, and for the first time, successful applicants also came from India, Australia, and Switzerland, counting one apiece. They traveled across Bourgogne from north to south, widening out their experience and discovering all the richness of the region through theory lessons, landscape readings, estate visits, meetings with professionals, and themed tastings. This intensive training week was capped off with a demanding final exam requiring a high level of understanding. All 10 applicants passed the test, thus obtaining the coveted title of Official Bourgogne Wines Ambassador. These passionate specialists in Bourgogne are now entitled to promote Bourgogne wines in a variety of ways, such as by hosting masterclasses in their territory with market influencers or wine-loving consumers. In October 2018, it will be time to boost our home network and recruit new Ambassadors for France. A recruitment campaign is already underway, with the aim of finding 10 new Ambassadors in the fall. If you are a training expert and would love to become an Official Bourgogne Wines Ambassador and work with industry professionals, then click here to find out more. Click here to see a full list of our 70 Official Bourgogne Wines Ambassadors. …Yusaku Tanikawa, sommelier at Thierry Marx & Bistro Marx in Tokyo! On Monday 23 April, the Chablis arm of the BIVB hosted the third edition of the Chablis Prize, within the framework of the Young Sommelier Competition, organized by the Japan Sommelier Association (JSA). The selection was slightly different this year because participants in the JSA’s Young Sommelier Competition 2018 were not allowed to enter. Only finalists from previous years were able to compete. After each candidate was interviewed, the winner of the 2018 edition was named as Yusaku Tanikawa, sommelier at Thierry Marx & Bistro Marx in Tokyo. The jury was won over by his accurate descriptions of Chablis wines and suggestions for food pairings. He will be visiting Chablis soon. The Chablis Prize helps identify the talents of tomorrow. Indeed, one of the winners of the JSA’s Young Sommelier Competition 2018 was none other than Yuya Kondo, who won the Chablis Prize in 2017. And the winner of the Chablis Prize 2016, Iwata Wataru, became Best Sommelier in Japan in 2017. The awards ceremony, attended by journalists and members of the JSA, also provided an opportunity to forge strong connections with the professionals of the future. Available from our pro shop, this postcard won’t fail to delight your customers. 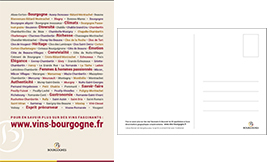 The Bourgogne wines postcard is now available free for all wine-industry professionals. 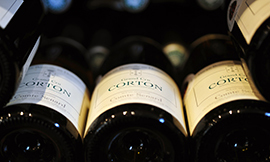 It lists the names of all the AOCs, including Aloxe-Corton, Beaune, Mâcon-Villages, Bouzeron, and Petit Chablis. And it also reminds us of those values dear to the region, like authenticity, passion, and conviviality. To be enjoyed by your customers without moderation! Click here to order your postcards today. 45 minutes to solve the Chablis wines locked room mystery! 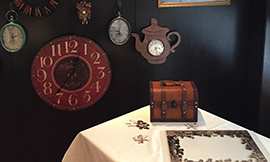 On 10 May, journalists and sommeliers from San Francisco took part in a Chablis-themed escape game. Rediscover Chablis wines by taking part in 45 minutes of puzzles about the Chablis winegrowing area. That’s the challenge that was recently faced by a group of journalists and sommeliers from San Francisco. They were locked in a room, and the only way out was to uncover the secrets of the Chablis region: From the origins of the Kimmeridgean soil to how the region’s Climats are laid out, plenty of fun was had by all. When they had finally secured their release, participants were treated to a tasting in the presence of winemaker Christian Moreau from the eponymous estate. The same adventure was offered to a similar group of participants in Toronto on 14 May. Importers, wine store owners, restaurants, and wine bars will be offering a varied program of activities from 4-8 June as part of Bourgogne Week Tokyo. After London and Hong Kong, the BIVB is organizing the first Japanese edition of Bourgogne Week in the nation’s capital city. Wine industry professionals will be hosting plenty of events involving Bourgogne wines, including tastings, winemakers’ dinners, and promos, both in-store and online. 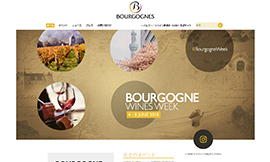 All of these events, along with those being hosted by the BIVB can be found on the new Bourgogne Week Japan website. You can also follow the event across social media, via the BIVB’s Facebook and Instagram accounts, where a promotional campaign will push the hashtag #BourgogneWeek. On 5 June, Bourgogne Week will begin with a Chablis evening for journalists and market influencers, which will feature a tasting of 11 wines, from Petit Chablis to Chablis Grand Cru, with an optional commentary. The event will take place at Polygon Aoyama, with 60 guests - By invitation only. • An evening event where the Climats de Bourgogne will meet the Japanese floral art of Ikebana. This event is organized in partnership with the Fédération des Négociants-Éleveurs de Bourgogne (FNEB), and is by invitation only, for journalists and connected tastemakers. • A Bourgogne Wines in Tokyo masterclass, exclusively for market influencers, and featuring a range of more accessible Bourgogne Régionale and Village AOCs. More than 120 participants will join Bourgogne wines expert Jean-Pierre Renard at the event. • The exceptional Bourgogne Week Grand Tasting event, during which importers, some accompanied by Bourgogne winegrowers or négociants with whom they work, will present their Bourgogne wine selections to a professional audience including wine store owners, sommeliers, distributors, and journalists. Some 50 importers and around 500 market influencers are expected to attend. As in London and Hong Kong, Bourgogne Week Tokyo will no doubt become an annual event. A strong partnership with WSET. 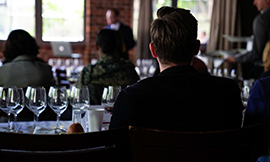 The Wine & Spirit Education Trust (WSET) is a body that delivers globally recognized education and awards qualifications in wines, offering courses covering four levels of expertise, via a network of providers around the world. For the past two years, the BIVB has been working in close cooperation with these establishments, helping trainers and students understand the specifics of Bourgogne wines. This partnership was validated by WSET’s head office in London. Within the framework of certain partnerships, notably with schools offering WSET Level 3 Awards and WSET Level 4 Diplomas, the BIVB also supplies the relevant wines and educational materials required for specific training in Bourgogne wines. To take this partnership to the next level, the BIVB’s “Train the Trainers” program, which enjoyed a very successful debut in Canada, is now being offered in London and Paris. Teachers in these two cities are invited for a half-day session to deepen their understanding of Bourgogne wines. The program includes blind tastings and workshops hosted by Jean-Pierre Renard, Bourgogne wines expert and official trainer at the École des Vins de Bourgogne. If you represent a training center offering WSET level 3 and 4 awards and you’d like to find out more about working with the BIVB, then please contact nicolas.bohain@bivb.com or on +33 (0)3 80 25 95 71 (for international enquiries) or melanie.hudelot@bivb.com or on +33 (0) 380 25 31 81 (for France). Indulge yourself and participate in a unique opportunity devoted exclusively to Grand Cru appellations. Every year, the École des Vins de Bourgogne offers an exceptional opportunity for you to explore all of the region’s 33 Grand Cru wines. 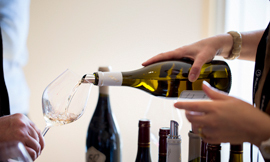 This three-day course, which runs from 28-30 June, is devoted exclusively to these élite wines. Wine tasting skills are necessary to appreciate these exceptional wines. The course is run in English by two experts from the École des Vins, and tastings take place in a professional tasting room. In order to properly grasp the notion of terroir and its impact on a wine, several landscape analyses will be organized in the vines, with three tasting sessions held on Grand Cru estates. The Friday evening also includes a ticket to the Musique & Vin festival, with a concert followed by a musical paulée dinner in Meursault. Atelier Prestige Bourgognes by Fabrice Sommier: Singular and unexpected Bourgogne wines. Tasting of all the wines from Chablis and the Grand Auxerrois (Irancy, Saint-Bris, Chablis, Vézelay, Crémant de Bourgogne) on the quayside in Auxerre. Open to the public. See above. Ateliers professionnels Vins de Bourgogne: Tasting of Bourgogne wines and culinary pairings (market influencers and journalists). PARIS, 9 June – Top Trainers! A workshop to improve your skills. For the best trainers on the French market. LYON, 11 June – Chablis Premier Cru: Are you left bank, or right? Chablis Premier Cru Climats training and tasting, hosted by Gaëtan Bouvier, Best Sommelier in France 2016 (for sommeliers, restaurateurs, and market influencers). NICE, 18 June – Chablis Premier Cru: Are you left bank, or right? Chablis Premier Cru Climats training and tasting, hosted by Julia Scavo, sommelier (for sommeliers, restaurateurs, and market influencers). NANTES, 25 June – Chablis Premier Cru: Are you left bank, or right? Conferences and tastings, food and wine pairings, with Bourgogne Aligoté. Lunch on 25 June in Paris, and dinner on 2 July in Lille (for journalists and market influencers). Training session at Vinexpo on the theme of the Climats of the Bourgogne winegrowing region. Hosted by Yang Lu, MS and Rebecca Leung, this masterclass is reserved for trade participants only. Masterclass in partnership with the UPVM and Meininger about the AOC Mâcon + name of the village. Promotion of Chablis wines in partnership with high-end retail shops all through June. Bourgogne Week: Bourgogne wine-themed events hosted by the city’s importers, wine store owners, and restaurants. Bourgogne wines on tour: Masterclass hosted by Michelle Cherruti-Kowal, MW, on the theme of accessible and lesser-known appellations (for market influencers). Get Together Bourgogne: Bourgogne Pinot Noir – discoveries and tastings. Bourgogne Wine Club hosted by Xavier Rousset, MS. Training for sommeliers on the themes of exploring lesser-known appellations around a classic Village AOC on 18 June, and Mâcon + name of commune on 10 September. Masterclass hosted by Dorian Tang, Bourgogne Wines Ambassador, on the theme of discovering a selection of Village AOCs. Chablis wines will participate in the International Cool Climate Chardonnay Celebration with masterclasses and tastings for trade and press.